Thank you for your interest in helping homeless Westies. Please read all the info below and then, if you are ready, move on to our adoption application info, which is below. We are sorry, but we can not accept applications from families who have children under the age of 8 years old. We also strive to place our Westies in smoke free homes. We adopt our Westies only to folks who live in Ontario or Quebec. If you are drawn to Westies because, "they are so cute" please be advised that their looks can be deceptive. The West Highland white terrier was bred to hunt and kill vermin in the Scottish highlands. He is tough, hardy, independent, and tenacious. This makes him a wonderful companion for those who appreciate and are charmed by the terrier temperament, but possibly a problem for the person who wants a gentle-natured little dog bred primarily for cuddling. 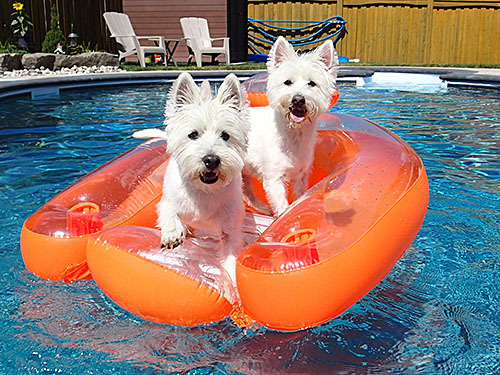 We receive more qualified applications from very fine homes than we have Westies to place, and it may take several months to put the right person with the right dog. Interested in a Westie puppy? 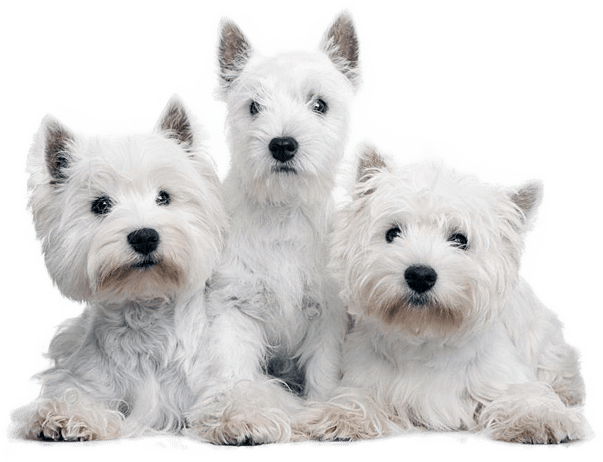 Westies in Need does from time to time get puppies into our rescue...however if you are interested in purchasing a Westie puppy right now, we sure have some good information about how to choose a reputable Westie breeder. Click here for all the info on reputable Westie Breeders!!!! We do understand that people often are looking for dogs from more than one source and may find a pet before we have one available. If you acquire a dog from another source, please let us know, so that we can put your application in our inactive file. It will save your time and ours. We also ask you to remember that we are a volunteer network, not a kennel or a shelter. We cannot hold dogs for people, and if we call you, we need a timely response. If you would like to get more info about our new Seniors for Seniors adoption program, please click below. We would like to encourage senior citizens and retired people to consider adopting a senior dog.... and we have made it VERY easy to do!!! Ready to move to the next step in the adoption process? Return it via regular mail, e-mail or fax. All the contact info will be on your Adoption Application. Please fill it out and either mail, fax or e-mail it back to us. If we currently have a Westie in rescue that would be a fit for you, we will contact you right away...if not, we will keep your application and when a little Westie becomes available that matches your application we will contact you. When a rescued Westie is ready for adoption each approved application is checked to see which one(s) most closely match the needs of the dog. WiN calls the applicant(s) selected and arranges a meet and greet between the Westie and potential new family. If the meet and greet has gone well, we next schedule a home visit with you and your references will be called. The best family for that particular Westie is chosen after an evaluation of all factors. The new family signs the Adoption Contract and provides an adoption donation which goes to cover program expenses.